Scottsdale bankruptcy debt relief experts and Scottsdale bankruptcy attorneys are here to help you learn about the process of filing bankruptcy in Scottsdale, Arizona. So, How does our affordable Scottsdale and Phoenix bankruptcy law firm offer you some of the lowest bankruptcy fees and a no obligation, FREE bankruptcy consultations? Our Scottsdale bankruptcy attorneys work tirelessly to better serve our clients in Scottsdale and throughout Arizona. In today’s economic upheaval in Scottsdale and Phoenix, Arizona, many hardworking, honest individuals and families are being overwhelmed by financial worries, wage garnishments, repossession, and foreclosure problems. Even with the Scottsdale real estate market ranking among the most expensive in the United States. Many individuals in Scottsdale still need sound legal advice, prompt debt relief, and the chance at a “Fresh Start”. The industry of tourism is Scottsdale’s primary employer, accounting for 39% of the city’s workforce. Especially relevant, the city of Scottsdale, Arizona is home to more than 70 resorts and hotels, boasting over 15,000 hotel rooms. Thus, the large hospitality market of Scottsdale, Arizona primarily caters to a higher-end, white-collar demographic. The recent economic troubles in the United States has led to less people being able to afford to travel and hence, less visitors to the Scottsdale area and it has caused a decline in the Scottsdale economy. Our experienced, affordable Scottsdale bankruptcy attorneys provide financial guidance, smart options, and multiple solutions through our FREE Debt Evaluation and FREE Initial Consultation with a qualified Scottsdale bankruptcy lawyer. If you live in the Scottsdale ( a city in the eastern part of Maricopa County, Arizona, United States, adjacent to Phoenix) and find yourself in trouble due to job loss, divorce, or staggering medical bills, please seek out the assistance of our professional staff and find out what is your best financial option. Scottsdale is home to many gorgeous country clubs and golf courses. In a Scottsdale Chapter 7 bankruptcy filing, it sometimes becomes necessary to liquidate a person’s non-exempt assets in order to facilitate paying off creditors. Thus, many people considering filing chapter 7 bankruptcy in Scottsdale hesitate when they hear the word liquidate as they don’t want to lose everything. People of Scottsdale imagine that they may lose most or all of their possessions in the process of the bankruptcy. Please know, this is not the case! However, as there is property and assets that are considered exempt in a chapter 7 case; experienced Scottsdale bankruptcy attorneys can guide you every step of the way. 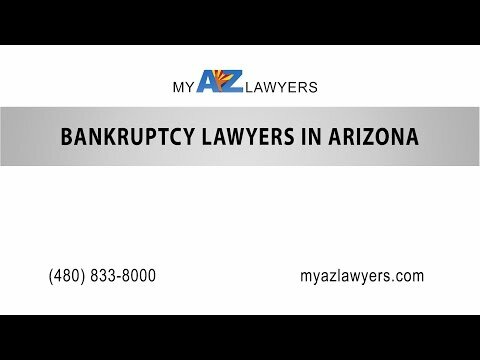 If you are considering filing for chapter 7 bankruptcy protection in Scottsdale, Arizona,(Arizona’s 6th largest city), but require additional legal guidance and information about your possible bankruptcy exemptions, it is to your benefit to contact our Scottsdale bankruptcy attorneys, Scottsdale debt relief experts, and Scottsdale bankruptcy lawyers at the My Arizona Lawyers. In assisting many individuals in Scottsdale, AZ with their chapter 7 bankruptcy and chapter 13 bankruptcy cases, our experienced bankruptcy law firm has become very familiar with the exemptions that may be claimed in the state of Arizona. Our Scottsdale and North Scottsdale, Arizona bankruptcy lawyers offer free initial consultations and free debt evaluations. We have some of the most affordable legal rates in Scottsdale and all of Arizona. Additionally, we offer payment plans, night and weekend appointments, and a no hassle, no pressure, no obligation, FREE consultations for you either over the phone or in one of our Scottsdale area bankruptcy law offices. Plus, our bankruptcy law firm, for your convenience, can start your bankruptcy over the telephone. You can complete nearly your entire bankruptcy from the comfort of your home. Try bankruptcy by phone. Get your NO OBLIGATION, free bankruptcy consultation at your convenience, from your home or office. Arizona bankruptcy is our business. We look forward to assisting you.